For many, their choice of phone is as strong as their religion. You’ll find Apple devotees that will never touch anything other than the iPhone. Then you’ll find the Android lovers that throw scorn on the Apple franchise. The truth is, both Apple and Android are fantastic platforms for the smartphone market. Although the iPhone has generally dominated the market, its reputation has dipped over the last 12 months. Some of the biggest tech commentators have put their faith in Samsung and others instead. That got us thinking, what else is out there? If you’re not sold on the new iPhone 6 models, what other options are available? We plunged head first into the smartphone market to find out. The truth is there are several great smartphones out there, each with their own benefits. Let’s take a look, shall we? 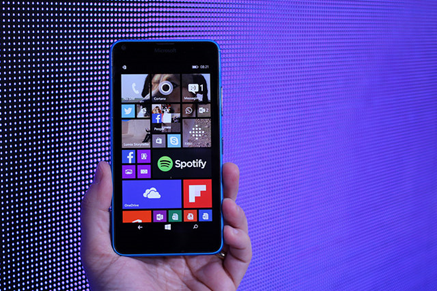 The Windows Lumia 640 smartphone is one of the big iPhone competitors. Not only that, but it’s much cheaper. The entire phone has been built around its brilliant front facing ‘selfie’ camera. If you can’t go anywhere without taking a picture of your face, you’ll love it! It has a wide angled lense to squeeze in more detail and it’s a great size for carrying around. Business types will find plenty to love here too with the seamless integration of Outlook Office. If you love the look and feel of the iPhone, but can’t get to grips with the operating system, try the HTC One. It is the only other smartphone on the market that can match Apple’s design and build quality. It feels luxurious and refined in the same way that the iPhone does. With a metal exterior and beautiful display, it’s one of our favourites. This all comes with a price, and you’ll pay nearly the same as an iPhone here. This is your choice if you’re after acres of screen space. 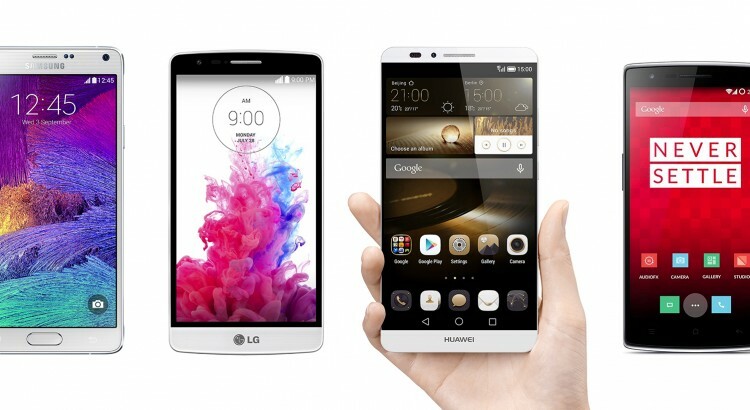 The LG G3 is the biggest smartphone on the list, surpassing the enormous iPhone 6+. It fits somewhere between the largest iPhone and a tablet. It’s great for watching movies, reading or playing games, not so great for putting in your pocket! One thing we love about the G3 is its wireless charging capability. It’s one of the first phones to include this technology and we think it will catch on across the board. Oh, and it will swallow an entire SD card too which could quadruple the memory on board. The real selling point of the Sony Xperia is its battery life. Sony claim it will fetch a brilliant 2 days of power from a single charge. That trounces the iPhone and most other competitors. It’s also entirely waterproof so you can finally check Twitter in the shower. The Z3 version is quite large and impractical, but there is a compact version if you prefer. Another great model in the HTC family is the Desire with its fantastic camera and speakers. The Samsung galaxy Alpha has an iPhone style fingerprint scanner and a fierce reputation. Finally, Google have been experimenting and their first Nexus model is quite a triumph. So, Apple haters, there are plenty of other options out there for you! Many of them are actually much more powerful than the iPhone. Which is your smartphone of choice?